In the last couple of months we've sold a whole bunch of Franchino and Nervi-Conterno, so we've been on an Alto-Piemonte roll, but Colombera & Garella is usually one that we don't always get enough of to do an offer with. But this time around, I have enough to let them rip on the whole email list. So here we have a nice lineup from a producer that was instrumental in launching Alto Piemonte's popularity here in NYC and is the baby of the man who's arguably more responsible than anyone for the region's success and rediscovery, Cristiano Garella. He joined forces some years back with his longtime friend Giacomo Colombera and Giacomo's father Carlo, who'd been farming grapes in the area since the '90s. They've created something truly special. 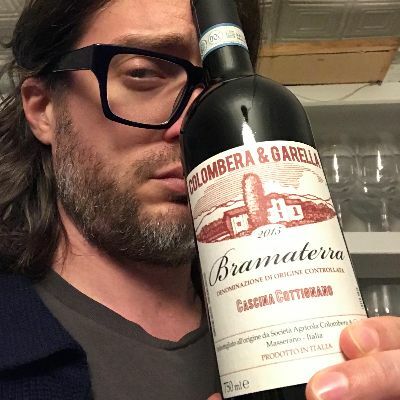 The first items we received here in the states were the Bramaterra and its little sibling, the Costa della Sesia, and we've been very hot on those wines for years now. But with this offer, we have the Lessona (added a couple of years ago) and the even newer Vispavola (Vespolina). While, for me, the Bramaterra is still the flagship wine, each one really has its own unique character to offer. The Costa della Sesia is the bang-for-the-buck snapshot of the C&G style. A blend of Nebbiolo 70%, Croatina 15% and Vespolina 15%, it's light, fresh, juicy and very aromatic. The complexity on display here at $24 is always impressive, and in the warmer 2015 vintage, it's even more generous than usual. That said, it still retains that high-toned vigor that you expect from the region and label. Then we have the Lessona (90% Nebbiolo, 10% Vespolina) which is the most intensely structured of the bunch, though in a rather subtle way. Its dark fruit is lean, focused and mineral packed, with great spice lurking at the edges, but this is not a weighty wine. It's also the one most in need of age in my opinion. As it unwinds, though, that mineral, earthy nuance will only continue its crescendo. Finally, the Bramaterra (70% Nebbiolo, 20% Croatina, 10% Vespolina), is the deepest and most broad-shouldered of the lot (within the scope of the region, of course) and, in my opinion, is the most emblematic of the C&G style. It's also my favorite one. ...but really, it's because we were recently blessed with a case of the 2006 Bramaterra (that unfortunately sold off the shelf before I had a chance to even type this up), and to experience its delicate, fragrant nuance was an affirmation of every notion I had about the quality of the material here. Every one of these wines has a very bright future ahead of it.